﻿ Book Cloud Forest Lodge (Monteverde) - 2019 PRICES FROM A$126! Boasting a garden, a terrace as well as a shared lounge, Cloud Forest Lodge Monteverde, Costa Rica, within a 20-minute walk of Sky Adventures Monteverde and 1.8 mi of Selvatura Adventure Park. Complimentary WiFi is offered. A patio with mountain views is offered in each unit. A characteristic, continental or american breakfast is free at the lodge. Guests can grab a bite to eat in the in-house restaurant, which serves a variety of local dishes. Monteverde Ecological Sanctuary is an 18-minute walk from Cloud Forest Lodge, while Monteverde Cloud Forest Biological Reserve is 2.1 mi from the property. 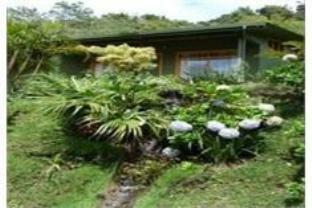 The nearest airport is Tambor Airport, 43 mi from the property.